“God bless America!” one Pico Rivera councilman shouted as the vote passed. 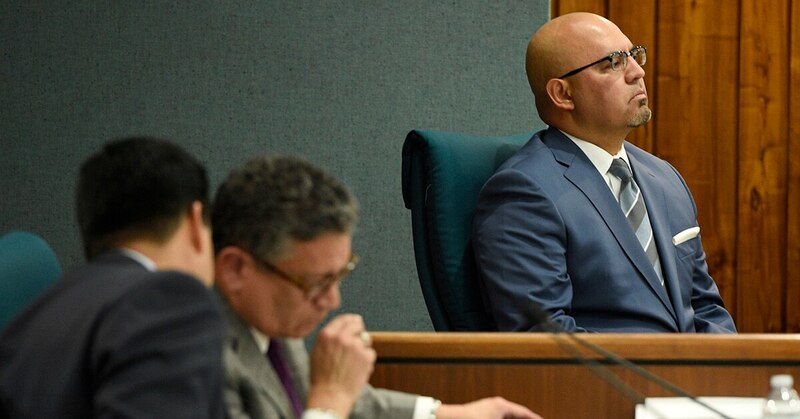 Councilman Gregory Salcido, who has been on leave from El Rancho High School in Pico Rivera, is seen on a video scolding a 17-year-old student wearing a U.S. Marine Corps sweatshirt and urging him not to join the military. The video was posted to social media and has drawn millions of views, along with outraged comments. President Donald Trump’s Chief of Staff John Kelly said last month in a radio interview that Salcido “ought to go to hell” for his remarks. 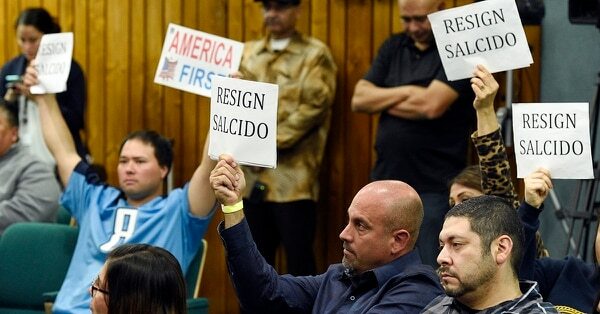 Mayor Gustavo Camacho called it “bullying, arrogant and aggressive behavior.” The council can’t force Salcido from his post but Camacho introduced a motion to censure Salcido, which would bar him from city committees and appointments, and to ask him to resign from the council. The meeting was Salcido’s first public appearance since making the comments Jan. 26. Salcido said he was trying to get his students, most of whom are low-income minorities, not to settle for the Army or Navy. He gave no indication he would resign from the council. Salcido’s comments came after he listened to nearly 50 angry but mostly orderly and calm speakers, many of them veterans. One of his former students spoke on Salcido’s behalf. “I believe that I probably wouldn’t even be here today if it wasn’t for him,” he said. Gleason said he was bullied throughout school and Salcido helped him. The student who made the video and his family chose not to attend, saying through an attorney that they believed their presence would inflame the situation. Salcido said he has gotten fairly constant and profane threats via social media and phone calls since the video spread, some saying they were going to kill him and make his son an orphan. The mayor and three city council members voted to urge the resignation. Salcido voted against the resolution and a fifth council member abstained, saying the resolution, which is not binding except to bar Salcido from committees and appointments, was pointless.